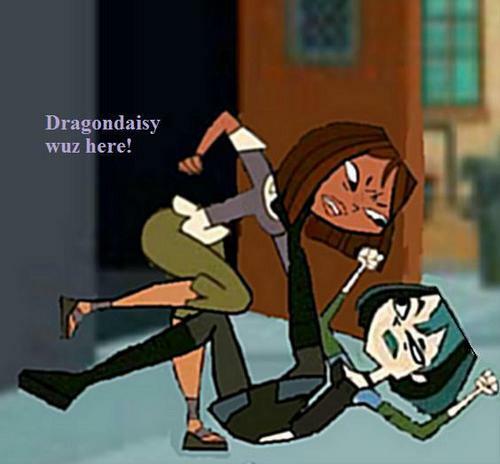 Gwen and Courtney fighting. I made this picha in three hours straight. Hard to make.. Wallpaper and background images in the Total Drama Island club tagged: tdi gwen courtney total drama island drama island total.